As general contractor, vision-tec could optimally bring its core competence for inspection systems and sorting robots in the sorting facility. The patent sorting robot is capable of sorting crates with different pockets at the same time. 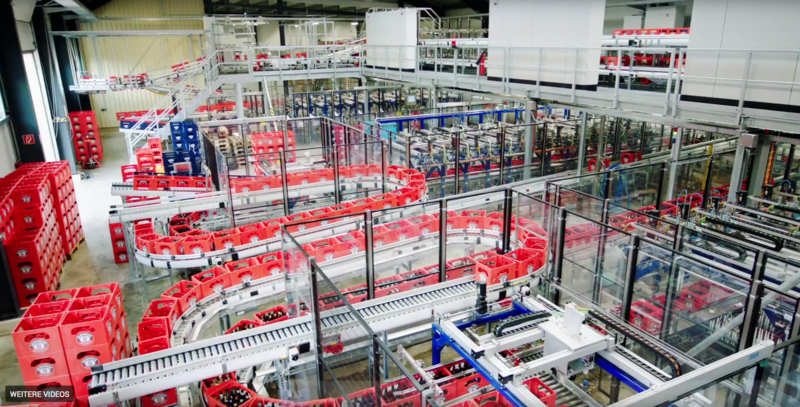 So 3 types of crates for 3 filling lines can be sorted at the same time in the erdinger brewery.